Towards the end of the year, in the last couple of weeks of Term 4, I always find it difficult to keep the balance between work and fun. Part of me just wants to kick back and relax with my grade, but the other part knows that if I do I’m bound to face some issues with behaviour. I realised that the solution is simply to choose relevant, fun activities that are whole-class oriented and allow for some flexibility in timing. Of course, the odd after lunch Christmas craft activity is thrown in too! I have even thrown in a free resource for doing Fermi Problems in your classroom before the end of the year! The solution? Fermi Problems. 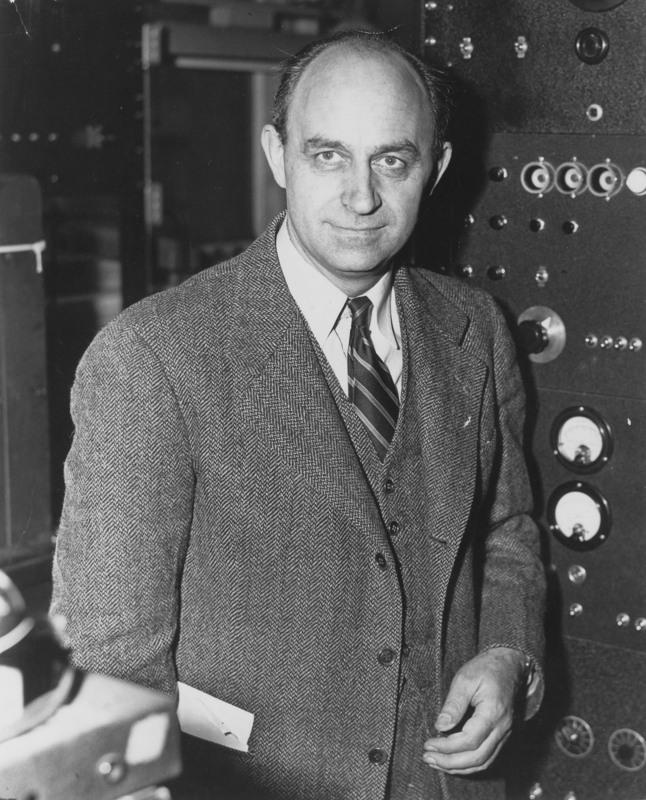 Enrico Fermi (1901-1954) was a physicist who was also famous for amusing his audience with problems. One of the most famous questions he posed was, “How many piano tuners are there in the state of Chicago?” (See the video below for the answer!) A Fermi problem sounds tricky, but anyone can solve them using a series of estimates. How many blades of grass are on our school oval? How many people would fit in our classroom standing shoulder to shoulder? How long would it take everyone in our classroom to go down the water-slide at the local swimming pool, twice? how many Mars Bars would it take, lined up end to end, to reach from one end of our school to the other? These multi-level problems can be introduced around Grade 3/4 (using the scaffold resource in this post) but extended way beyond that into secondary classrooms. My grade have had fun this week, firstly estimating how many cola bottles were in the jar, and then answering and developing some questions of their own! We brainstormed strategies together to solve the problem. I asked students to draw their Fermi after I had spent some time describing him, with some crazy results! The cola bottle prize was an excellent ‘hook’ for the lesson! Of course, we’ll be finishing with a water fight on the oval! To all Australian teachers, enjoy your last few days with your grade for 2013! To teachers elsewhere, sorry you don’t have the weather for a water fight! Don’t forget to check out the free resource below. Click here to access the Fermi problem scaffold that I used with my grade. All I ask is that you retain the watermark to respect the work that has gone into producing the resource and keep sharing this page! I’d love to hear what lessons you have been using to have some fun in your classrooms towards the end of the year, please share your ideas in the comments section below! I am incredibly excited this week to be procrastinating from report writing by taking up the opportunity to write for Education Services Australia, and their incredible online resource: maths300. The lessons are presented as mathematical adventures, and all of them contain rich activities that promote discussion encouraging students to work like a mathematician (one of our numeracy catch-cries!). In our classroom, I have used them exclusively with Kevin Cummins’ Maths Toolbox which he shares on his superb education resource, Edgalaxy. In combination with this, schools are able to download the accompanying software package which, although simple looking, allows students to complete investigations with a real-life contextual edge. One example is the Footy Finals lesson (great for September, AFL or NRL!) where students have the opportunity to investigate the chance of their team winning the premiership starting from 1st-8th position. 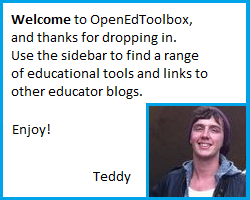 When I submit my maths300 lesson plan, I also plan to make it available via OpenEdToolbox, so watch this space! 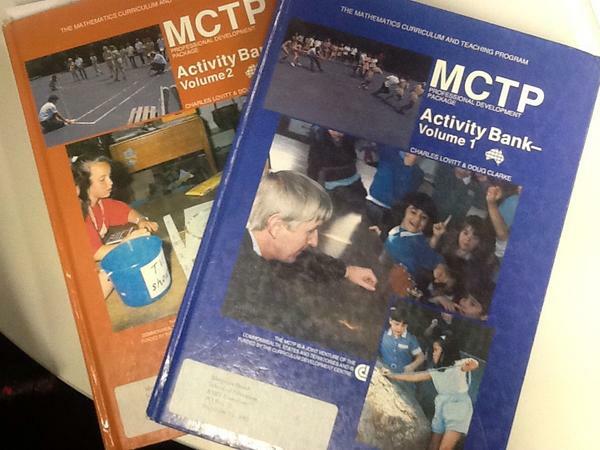 Have you used MCTP or Maths300 in your schools/classrooms? What sorts of maths ‘adventures’ have you taken your students on? How do you apply real-life context to your numeracy classroom? 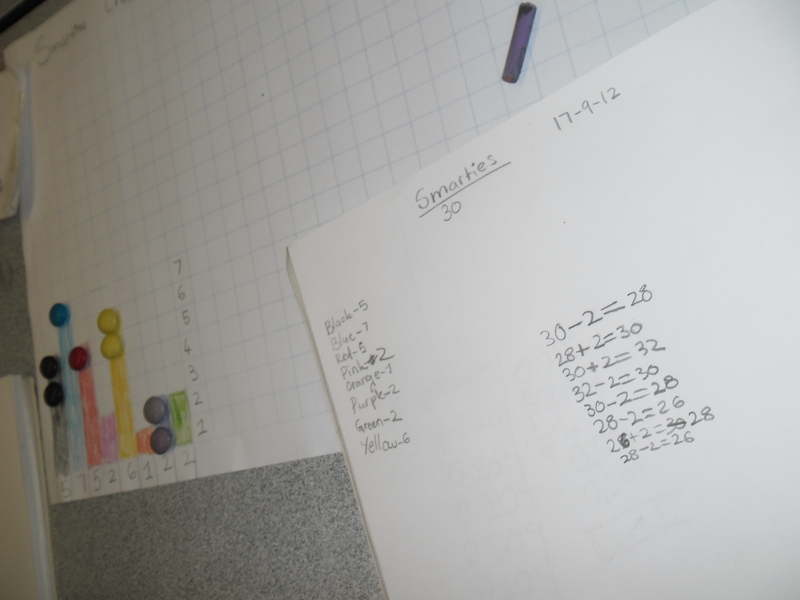 Maths Lesson Ideas – Smarties! I always try and include some extra fun lessons in the last week of term that revise a range of topics students are familiar with. In addition, it is always extra special to be able to introduce some new concepts at the same time. I got the idea for this lesson from the Black Douglas Mathematics Centre, an incredibly rich resource closely linked to Maths 300, but it is free! If you haven’t had the opportunity to look at these resources as a school, please take the time to do so. They are just packed with open-ended, purposefully engaging lessons with a focus on problem solving throughout. I taught this lesson in the last week of Term 3, and found myself wishing we had the time to investigate more! 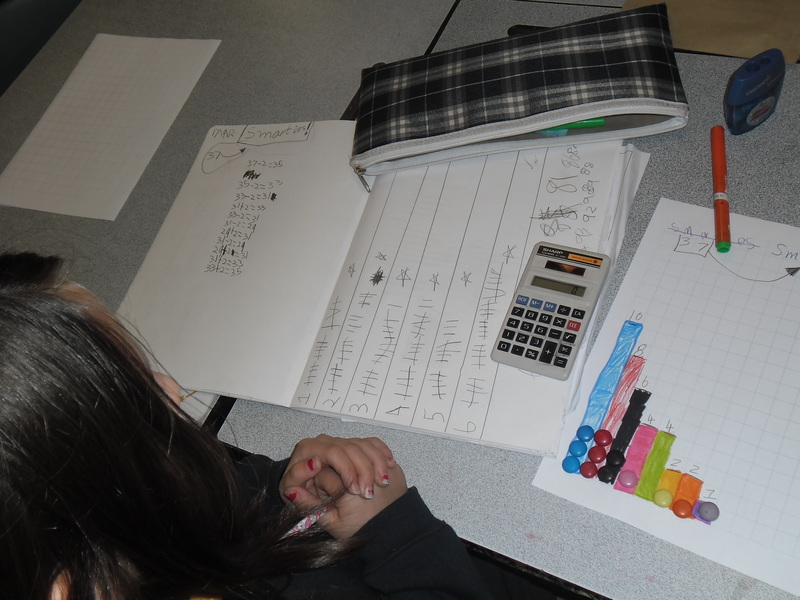 Our Learning Intention was based on using our number skills to experiment with negative numbers (which my students weren’t familiar with previously), but the learning experience included so much more, including: data-collection, chance, graphing, number patterns and calculator use. Our Success Criteria was to effectively show addition and subtraction using negative numbers on a number line. I went to my local supermarket and bought 600g of pick n’ mix smarties, which was enough for around 30 smarties per pair in a class of 24 students. I also gave each pair a 10x10mm sheet of grid paper, enlarged to A3, to assist them with the graphing of their random selection of smarties. Each pair was to count their smarties and each player record this number in their own scrapbooks as their starting score. All of the smarties are placed back into the paper bag. Students take smarties out one by one, each student guessing which colour will come out next. 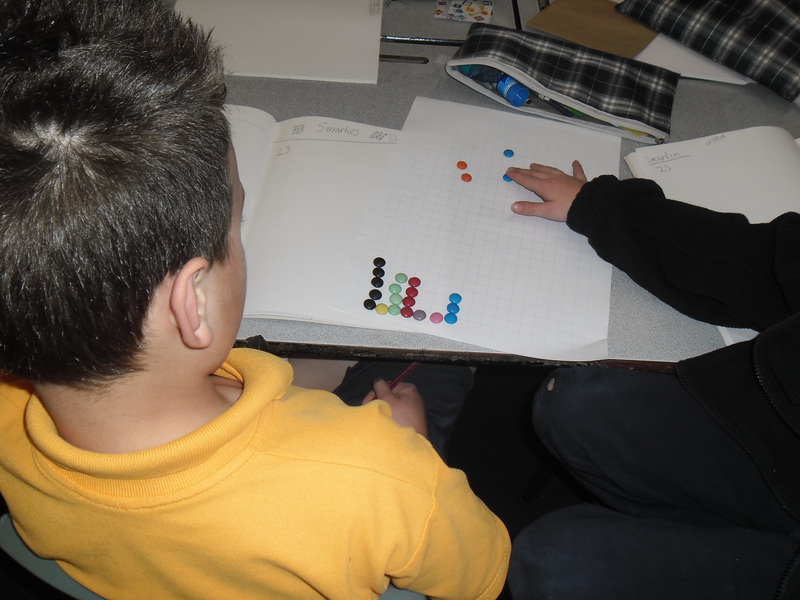 Prior to this, I encouraged each group to build a simple column graph to refer to during the game – I had little input, simply observing and taking some anecdotal notes about graphing skills, axis labelling etc. 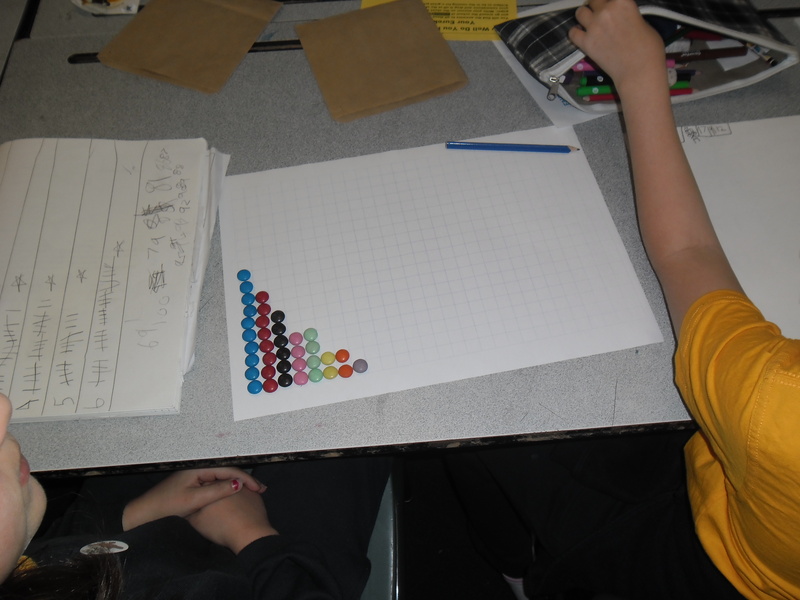 Some of the graphing was interesting! The students amazed me with their creativity when they began playing the game. Nobody ate any, they were far too valuable! Instead, they rebuilt their graph to assist them with correct guessing. As students waded into unfamiliar negative number territory, some were able to successfully apply prior knowledge. I stopped other students and encouraged them to use a calculator and a number line to support their calculations. The discussion at the completion of the lesson was based on meeting our Success Criteria, but also somewhat disturbed by the munching of half-melted smarties (‘no thank-you, I don’t want one’). As I said, I wish we could have used this as a springboard for a follow-up lesson, but it was a great one to explore in the last week of term nonetheless. 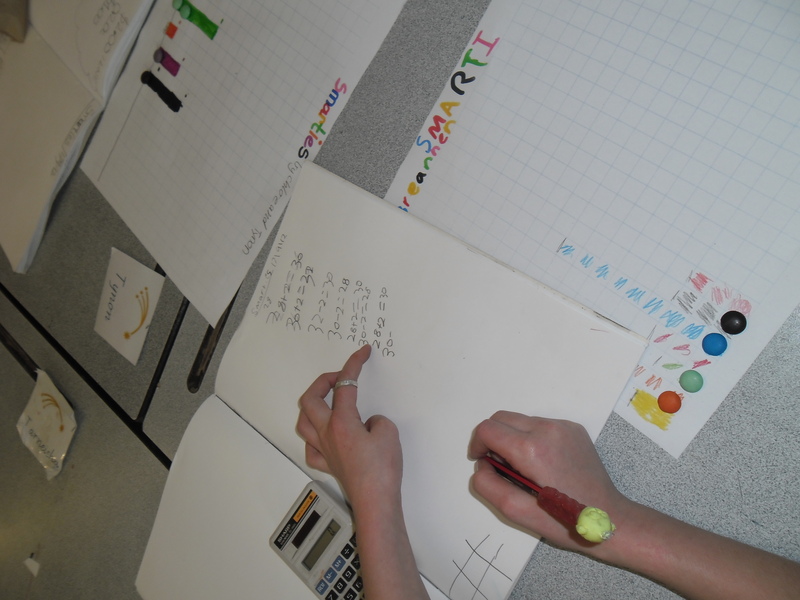 What resources do you use to enhance your maths classroom? Have you found any other open-ended resource banks like Maths300? 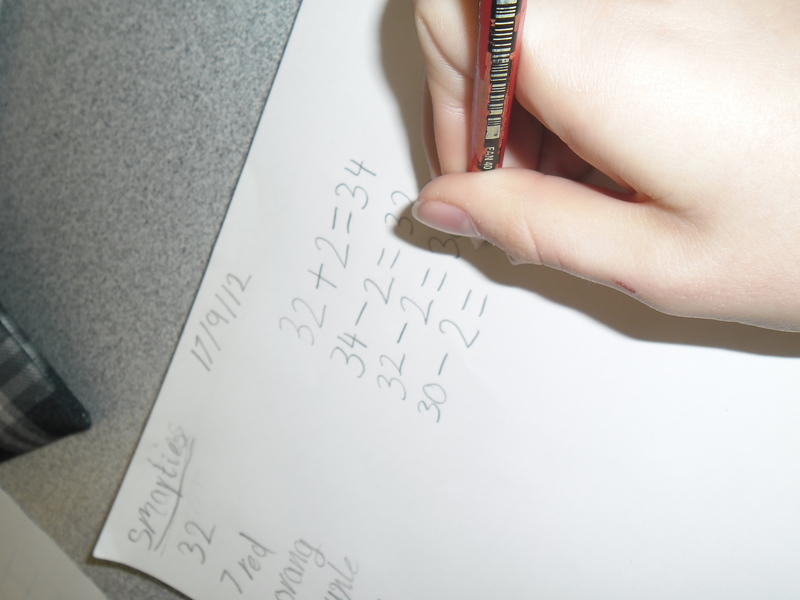 What makes a great maths lesson? I’m sure that the clever people over at Transum Software won’t mind me inserting their banner as a plug for their excellent Maths Starter of the Day. I am a great believer in students having a daily starter to get their brains into gear, I am planning a future post on my grade’s morning routine. However, this great resource (which I also plugged on the OET Facebook page earlier this week) serves for a range of purposes. The calendar view allows the teacher (or student) to select each day’s maths problem and present it to the grade in an IWB friendly format. I must stress that these are interactive and not all of them merely use the IWB as a data-projector, which is very awesome. I have used them for mental-starters, found subject-specific problems for tuning in opportunities and also make the link available to students via our class wiki. These resources provide great opportunities for modelled and shared problem solving and working mathematically. You can find the link to this excellent resource here. What maths tuning-in resources have you found most useful? Does your grade do a daily starter?